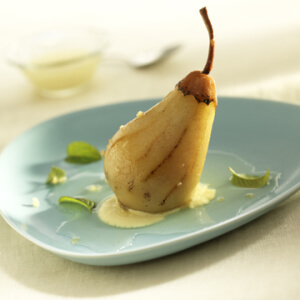 In this classic poached pear recipe, white wine may be substituted or mixed with champagne. Peel and core pears from the blossom end, leaving stem in place. Cut bottom of pear so it will stand on a flat surface. Place pears in bowl of water and lemon juice to prevent discoloring. Bring champagne, sugar and 3-inch sprigs of rosemary to boil in a large saucepan. 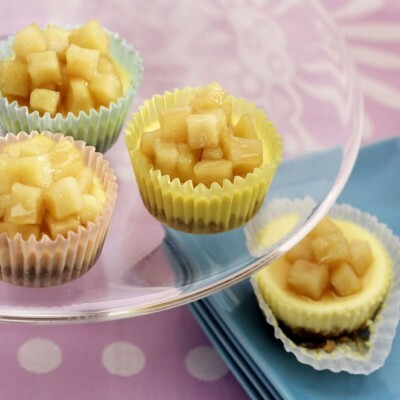 Stand pears in champagne mixture; cover with lid or foil and simmer 25 to 35 minutes or until tender. Baste every 8 to 10 minutes to cover all surfaces with champagne mixture. Remove pears from heat and cool; baste occasionally. Remove pears from liquid. In large skillet or shallow pan, reduce liquid and sugar by half. Cool. Pour sauce on individual serving plate. Stand poached pear in pool. Garnish with mascarpone cheese and a small spring of rosemary.